Nike Says These New Sneakers "Transcend the Limitations of Time and Space"
Nike loves to hype all of its sneaker releases—using terms like "legendary" and "iconic" to describe its newest shoes—but the brand's latest product description just might top them all. 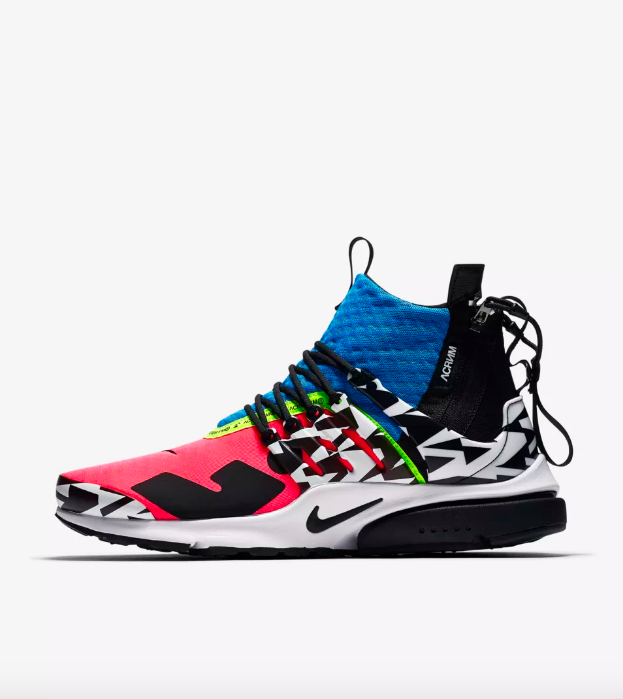 Nike is calling the Air Presto Mid Utility x Acronym Sneakers ($200) truly out-of-this-world—and we're intrigued. "NikeLab and Acronym co-founder Erollson Hugh join forces to bring to life a reproduction like no other," the product description reads. "One inspired by a brighter tomorrow and technologically modified for a more expressive human experience. Technical utility and functional design come together in aesthetic harmony— delivering a product that transcends the limitations of time and space." Scroll down to see the shoes in question, which officially launch at 10 a.m. ET on September 20. Available 10 a.m. ET on September 20.